The humble garden fence can serve a variety of purposes, either as the boundary between one property and the next, a division from one garden area to another or as a screen to hide away a compost pile or the wheelie bins. 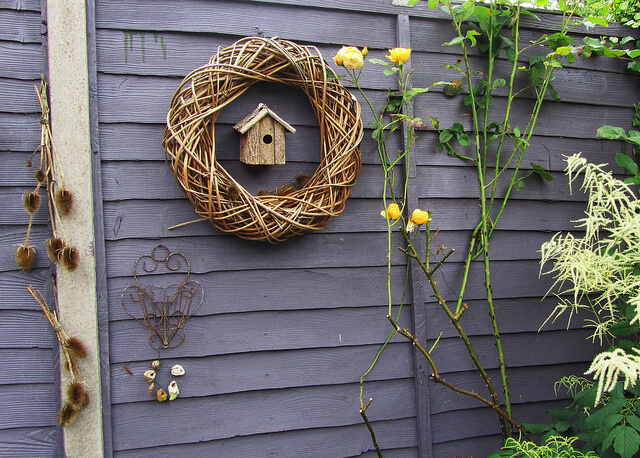 No matter what the reason, garden fence panels don’t need to be the plain, boring objects that we tend to think of. Why Treat Wooden Fence Panels? New garden fence panels tend to be pressure treated or pre-treated with some sort of wood preserver before leaving the factory. This said, applying an additional wood preserver to all sides and edges before installation will provide additional protection. A good quality wood preservative will protect wooden fence panels and posts from a variety of biological threats including mould, algae, dry rot and insect attack. Applying a wood preserver to sound fence panels can offer up to 5 years protection. Can You Use Decking Oil On Fence Panels? In short ‘Yes’. Decking oils are perfect for protecting and preserving garden fence panels. They penetrate into the timber to give the wood excellent water resistance and depending on which decking oil used, the additional benefit of UV resistance. To keep fence panels looking natural, simply use a clear wood preservative and clear decking oil. These products will enhance the natural grain of the timber and give it an almost damp appearance whilst retaining the natural look of the wood. 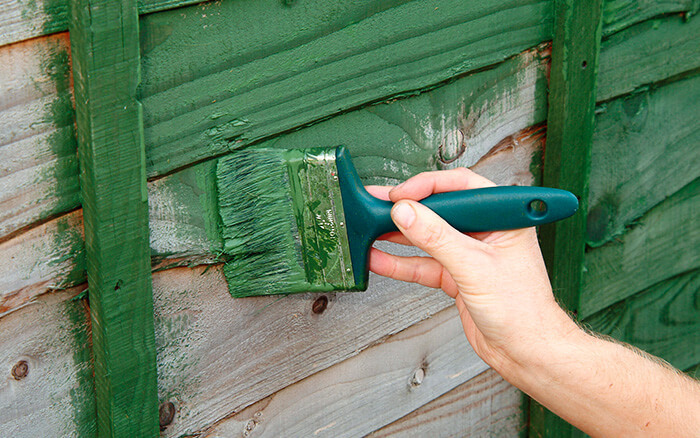 To stain new or older fence panels, there are a variety of coloured wood preservers and wood oils, semi translucent and opaque to achieve any effect. How to give the best protection to Garden Fence Panels? To get the best level of protection, it is recommended to use both a wood preservative, usually 2 coats, followed by 2 coats of decking oil or other exterior wood oil. Ideally, it’s best to treat both sides and all edges prior to installation. Note: When using solvent based wood preservatives, its important to follow the manufacturer’s drying times. Although solvent based wood preservers usually feel dry in around 4 to 6 hours, the recommended drying times are usually around 48 hours. Why is this? Simply speaking the solvent content of any preservative must be allowed to fully evaporate from the wood before applying a wood oil or other fence treatment. Solvents break down and dissolve waxes and oils so if the oil is applied to early, the solvent may break down oil making it ineffective. Wood preservers are available in a wide range of colours such as Cedar Red, Summer Tan, Holly Green and Golden Brown. These can be applied to colour or stain the fence prior to overcoating with a clear decking oil. An alternative approach is to use a clear wood preservative then overcoat with a coloured wood oil or decking oil. The benefits of using a wood preservative and wood oil combinations over a fence paint is that they will not crack, peel or flake as some types of paint tend to do over time. This means that maintaining the finish is simply re-applying a fresh coat of oil every couple of years. Unfortunately, in situations where fence panels and posts have never been treated or left untreated for a number of years, issues such as wet rot, mould and algae may have taken too much of a toll. If the wood is decayed, rotted or the panel is simply falling apart, it’s time to replace. The important thing here is to correctly treat the new fence panels and posts so that they don’t suffer the same fate as the old. For more information on the types of garden fence treatments click here. Whether looking to replace just one fence panel, a whole stretch or the fence around the whole garden, shopping around for the cheapest deals can save a small fortune. In addition to garden centers and high street retailers such as B&Q and Homebase, there are some excellent online resources that can save you money and deliver to the front door. Online retailers offer great prices, discounts and offers. Some also offer a range of finance options making buying a new fence more affordable with spread payments. 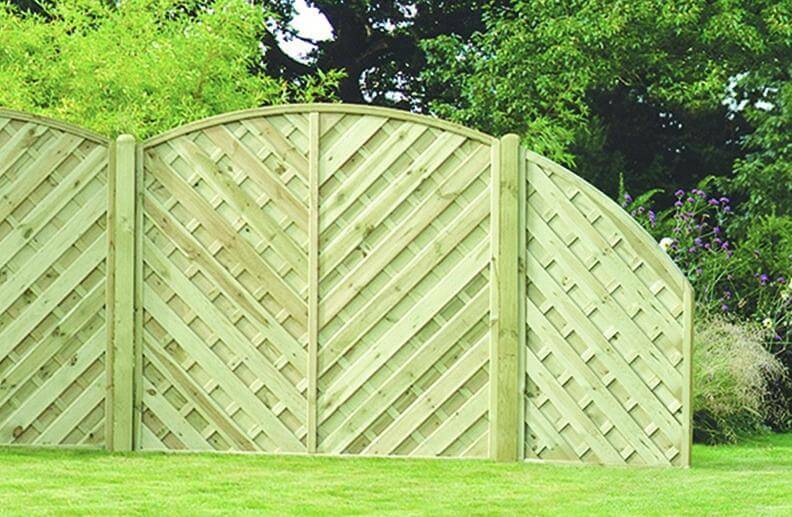 It’s true to say that garden fence panels come in a wide variety of shapes, sizes and styles. From the traditional feather-board and overlap garden fence panel to the altogether more impressive Paloma panels or Valencia style fence panels. No matter what shape, size or style of garden you have, the right garden fence can make a huge difference to its visual appeal. In addition to garden fencing, read our top tips on protecting and preserving garden sheds, decking and garden furniture.